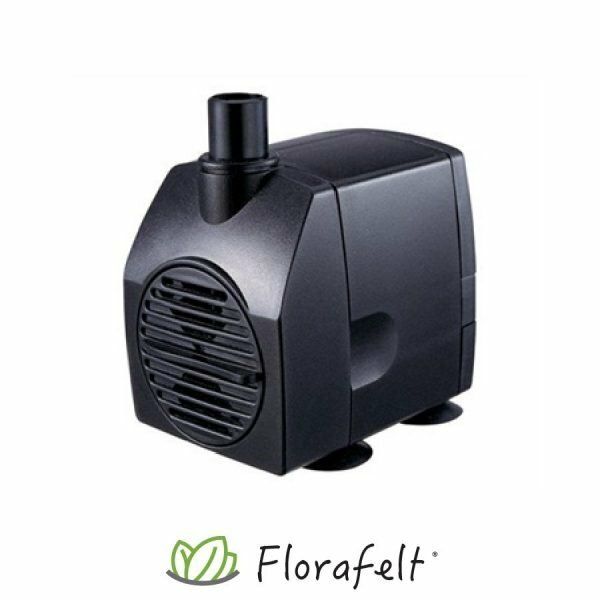 Jebao WP2000: A simple and reliable fountain pump that easily snaps apart for easy cleaning. Floating magnetic rotor has no gears. Submersible pump with black 3-prong grounded 12 foot cord. Standard 1/2″ female pipe thread.